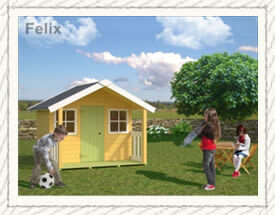 Woodpecker Log Cabins is pleased to introduce an exciting range of wooden playhouses for kids. We have several designs suitable for children aged three to ten years old. 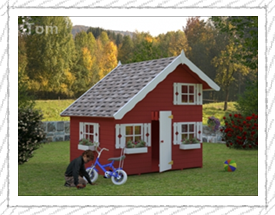 Sturdy tongue and groove 16 -19 mm wooden boards are used for playhouse construction ensuring that your investment will last. 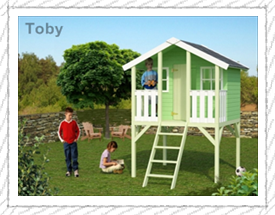 Please note our playhouses have walls constructed from 16mm (5/8″) timber this is much thicker and better quality than is supplied by many other companies. 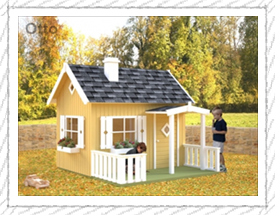 The floors and roofs of our playhouses are also solid timber, many of the cheaper offerings use chipboard or OSB these can deteriorate and start to sag quite quickly, within weeks, in damp conditions. 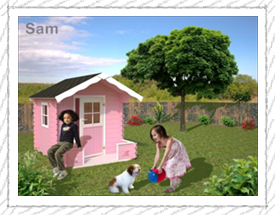 The pictures below give you a general idea what the playhouses look like when they are fully assembled and painted. They are however delivered unpainted, so they can be customised to your exact colour requirements. 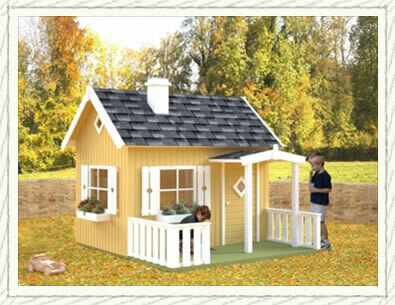 The children’s playhouses are supplied as a flatpack with a full set of instructions. They are easy enough to assemble yourself in a couple of hours with some basic tools. We can also assemble them for you for a nominal fee. 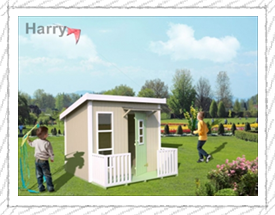 The prices indicated below are for an unpainted playhouse delivered to your house in kit form for self assembly. 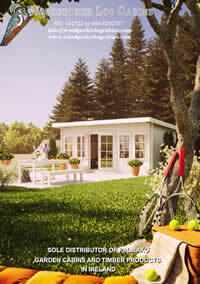 All you need is roofing felt, paint and some simple tools such as a hammer and a screwdriver. Please call us for a quotation that includes assembly and painting. We can also help choose the right design. Click on individual pictures below to learn more about each one of the designs.